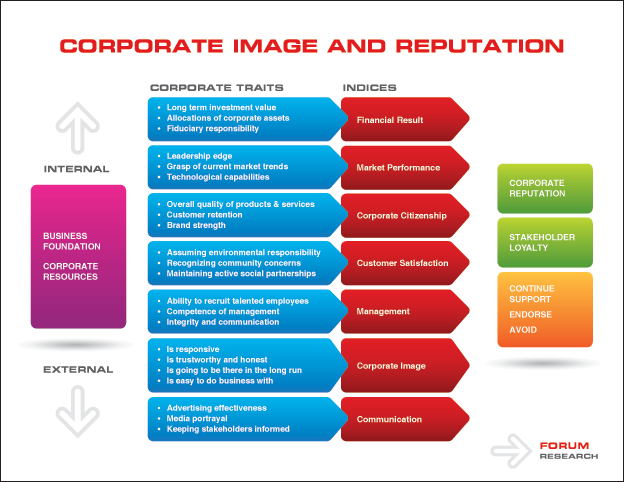 Corporate Image and Reputation < Market & Consumer Research < Services < Forum Research Inc. 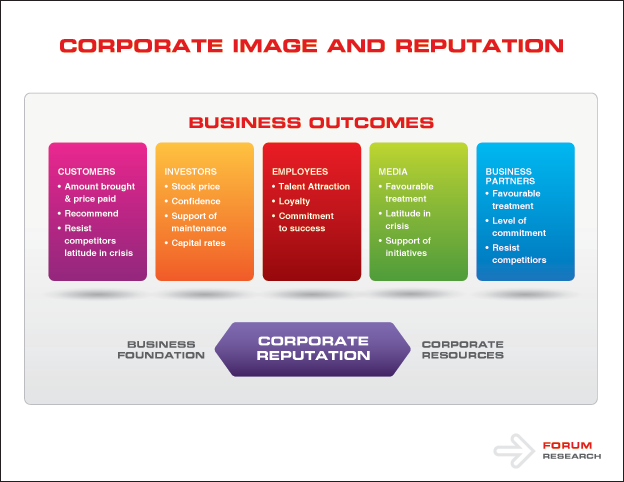 In the simplest sense, how you are seen by your stakeholders is your corporate image and reputation. Corporate reputation emanates from all of the business activities and communications a company has, either intentionally or unintentionally, undertaken in its marketplace. Stakeholders, whether customers, employees, the financial community, special interest groups, or simply the general public, look at a company differently because they focus on and look at different parts of the business. By understanding both the commonalities and differences across stakeholder groups, a company will be well positioned to maximize the return on its performance and communication improvement efforts. This, in turn, can influence stakeholder loyalty, a key influencer of business success. A company's reputation can be an invaluable asset, as well as a great liability. 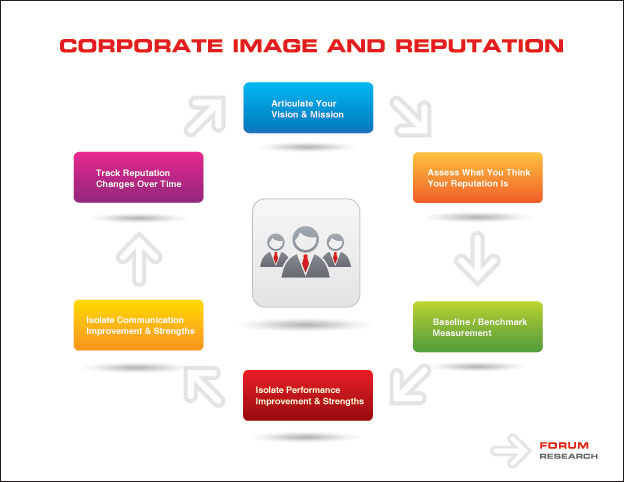 Forum Research helps leading companies measure and manage their corporate reputation. Our portfolio of solutions provides clients with key "dashboard indicators" to tell them how they are currently seen by their various stakeholders. However, Forum Research does not just leave you with this. We also provide key diagnostic insight — in effect, 'roadmaps' for effective reputation management.